Lovely local example equipped with approximately £6,000 in factory options and full Audi service history. 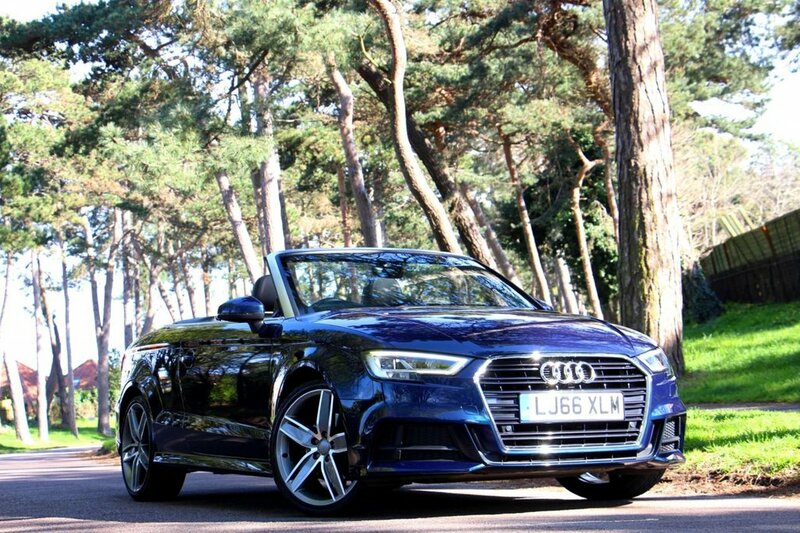 The car features a Technology Package with large screen pop up sat nav, speed limit display, 19in 5 arm wing alloys, front and rear park distance control , Bang & Olufsen premium sound system, heated front seats, magnetic ride adjustable suspension, dark grey electric hood, bluetooth phone and audio interface with voice control, Audi Music Interface, auto hill hold assist, LED rear lamps, DAB radio, LED interior lighting, cruise control, auto lights and wipers, scrolling LED indicators, dual zone climate control, half leather S Line sports seats, flat bottom multi function steering wheel, Audi Drive Select and more. In Cosmos Blue Metallic. Audi warranty to Sep 2019. Autoglym paint protection from new. £30 a year road fund license.